MK Sharren Haskel says leaders throughout history have been dreaming of Israeli sovereignty over Judea and Samaria. 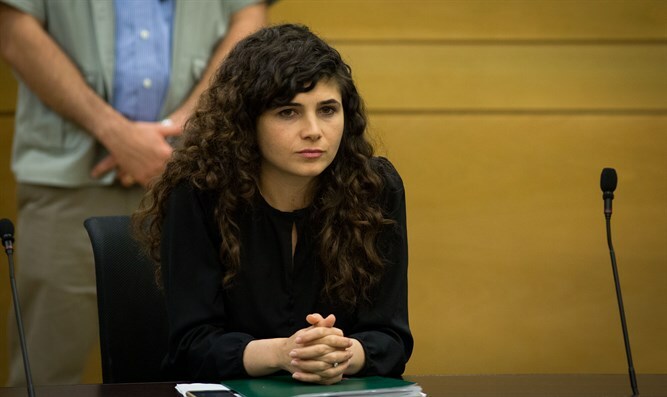 MK Sharren Haskel (Likud) spoke on Sunday of the importance of the Likud Central Committee’s approval of a motion to apply Israeli sovereignty over Judea and Samaria. “This is something that leaders throughout history, going through Jabotinsky and Ben Gurion, have dreamt about, and this is our time when we’re fulfilling their wishes and their dreams,” Haskel told Arutz Sheva following the vote. “We can’t wait for the international community. We need to be a sovereign state. We need to make our own decision and this is what we’re doing here tonight,” continued Haskel, who noted that Central Committee vote was connected to U.S. President Donald Trump’s recent recognition of Jerusalem as Israel’s capital.